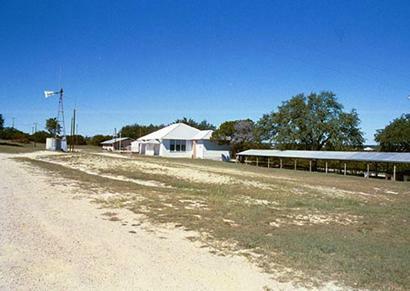 The community center where the Oatmeal Festival is held. This was the third school. The name is perhaps a corruption of Othneil who was an early businessman in the area. An all-black cemetery was set up in eastern Oatmeal in a Black community called Stringtown. 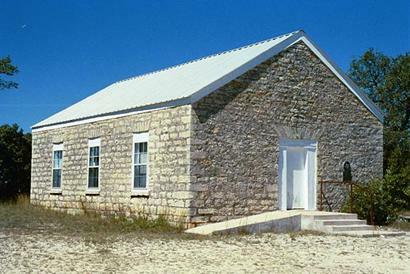 Formed of Freedmen (and women) after the Civil War, the town melted away during the 1920s. 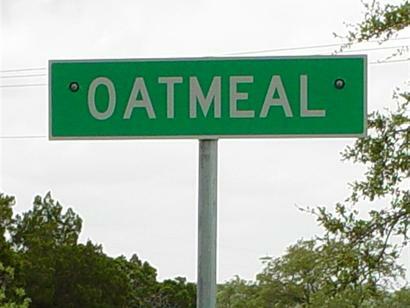 The same fate nearly befell Oatmeal, but there were enough people to maintain the town until they came up with the annual Oatmeal Festival - a tongue-in-cheek celebration of the once mandatory hot breakfast food. 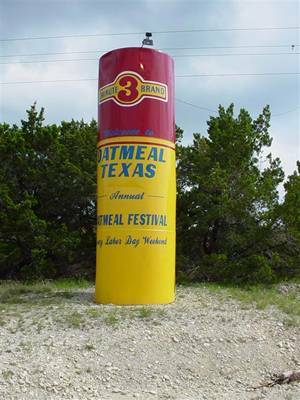 While staying at my sister's lake house in Burnet, I made it a point to go over and take pictures of Oatmeal for your site. While there, I poked around and found some interesting facts. 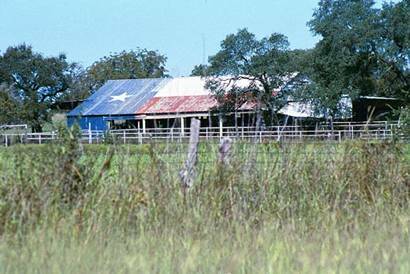 From an excellent history posted at the Cemetery by Maxine Glimp I found that the first postmaster of Oatmeal was Judge John R. Scott, who was also the first Chief Justice of Burnet County. 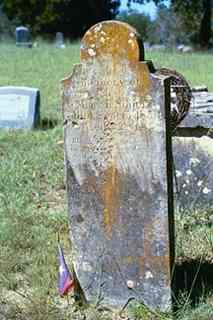 He was murdered around May of 1863 and his remains were discovered some time later - identified by a deformed jawbone. Oatmeal was also the site of the first orchard in the state and the 1st and only cheese press.